In a clutch drive at the end of last year, Hiroyuki ‘Shark’ Iiri set a new track record for the naturally aspirated, rear-wheel drive class with a blistering 55.887 lap around TC2000. Considering that this project hasn’t been in development for very long in comparison to some other builds gives you an idea of both the talent that Hiroyuki has behind the wheel, and the people involved in making this car what it is. I’m looking forward to getting some time in Hyogo this month to talk to him about the car a little more in-depth. For now enjoy some photos from the record-breaking day. They say that the coming of a new year gives us all a fresh slate to work from; a new beginning that allows us a mental reset of our lives. This is a bit deceiving, as we need not wait until the end of the year to modify our actions, but it does provide an opportunity to reflect on the past 12 months. As far as time keeping goes, a year is a pretty significant measurement. We typically evaluate our successes and failures based on what we accomplish within a years time, and give ourselves goals for the new year with the intention of having achieved them in yet another year-long period. We continue this forecast of achievement year after year, basically for our entire lives. For that reason alone it’s a significant occasion. It’s been quite awhile since I’ve seen Suwa on track. In fact, the last time I saw him wasn’t at the circuit at all; it was at Umihotaru of all places. When we held our last Winter Cafe back in 2014, he stopped by to say hello. For the past 3 years he’s been laying low, driving in choice attack and one make races, enjoying life and little by little improving his AE86. You can read a little bit more about here, but it seems like quite a bit has changed in the past couple years. If I get the time, I’d like to reach out again to see how everything’s been going. This past weekend, Willow Springs International Raceway once again played host to the annual, all-Honda, VTEC Club event; Autumn Speed Festival. Since the inaugural event last year, it’s one of the only events I look forward to attending here in the US (actually in the past two years it’s the only event I’ve attended). While VTEC Club usually runs alongside another facilitating vendor to host their normal events, Autumn Speed Festival’s attendance, and management are proof that, time forbidding, the organization can survive on it’s own. With over 80 registered drivers, the pits were packed with Honda driver’s both veteran and new, ready to take on the ‘fastest road in the West’; Big Willow. Years ago I had the good fortune of befriending a couple of Garage Mak customers who have close relationships with the Miyagawa brothers; owners of the Nagano based tuning powerhouse, Garage Mak. 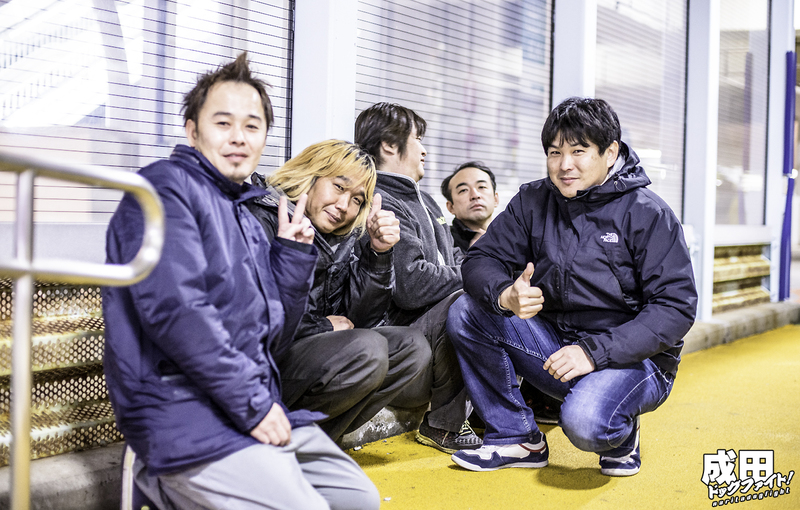 Amemiya, Tsubaki, Seki, and others, have become good friends of mine, and have also given me the opportunity to meet, and work with, the two men behind one of Japan’s most comprehensive tuning shops. This last week I made the drive out to Nagano again to talk to Tatsuhiro and Kazunori Miyagawa about the upcoming Attack season, and get a better look at their new line of R35 GTR aero. In an attempt to expand the communication in regards to storefront opening dates and times, I’ve committed to announcing on the site each time the store is restocked and I plan to re-open it. I get plenty of emails from people who missed out, or request to be notified each time I open the store; as you know that would be impossibly tedious to individually email hundreds of people. Instead, the easier solution, is to subscribe to the site via the ‘follow’ button located on all pages, and when I post opening dates you will receive notifications straight to your inbox!